This chair features a patented perforated pillow top design with a beautiful CaressoftPlus upholstery and pillow top cushions for extra comfort. 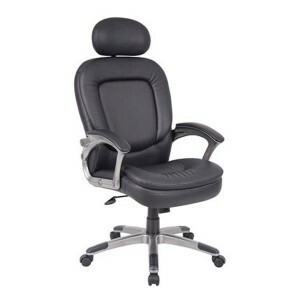 Also featured are the padded armrests along with the padded headrest. A Pewter finish, upright locking position, pneumatic gas lift seat height adjustment, and adjustable tilt-tension control are just a few more key features this chair had to offer.